Home » Uncategorized » Free Ebook Today! Now and then our authors advertise through us. 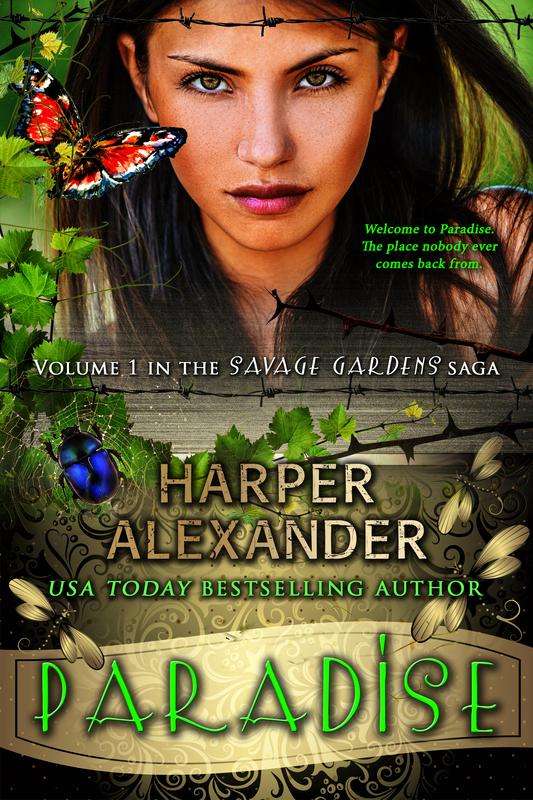 Today is your chance to pick up Paradise by Harper Alexander, the first volume in the Deadly Lush trilogy, for free! Don’t miss this fresh new voice in the YA Dystopian genre. Shiloh lives on the Coast of Hope, flanked by the decimated ruins of the earth. Every year, people brave crossing the Badlands to the coast, with the hopes that they will be one of the lucky souls who merits an invitation to Paradise – the legendary shore of sweet deliverance across the sea. When Shiloh receives one of the magical message-in-a-bottle invitations that grants her passage to that golden land of enchantment, she jumps at the chance to leave her dystopian shore behind. Alone and vulnerable but full of hope, she casts off into the vast watery wilderness, and touches down on utopian soil unscathed. Paradise is everything she could have dreamed. Everything the stories say. Beautiful. Lush. Tantalizing. Too marvelous to ever return from. But there is something all the stories have left out. Another reason nobody ever comes back from Paradise. This entry was tagged author, book, books, dystopian, ebook, fantasy, free, indie, promotion, writer, writing, young adult. Bookmark the permalink.